The 2019 Kia Sorento and Hyundai Santa FE XL are two three-row crossovers that deliver a great deal on family-friendly comfort and safety. But which is the best crossover for your family? Our comparison guide is here to help. You can save the most on family transport when you choose the Kia Sorento. This three-row crossover SUV starts at just $25,990. Inside, you’ll find roomy, comfortable seating for up to seven passengers. The Sorento also comes standard with everything you need for a comfy, modern ride, including complete smartphone integration with Apple CarPlay and Android Auto infotainment technology. The standard automatic headlights and rearview camera help you stay safe. The 2019 Hyundai Santa Fe XL starts at $30,850, which means you must pay extra to get the same level of family-friendly comfort. The Sorento is the better choice for big families. 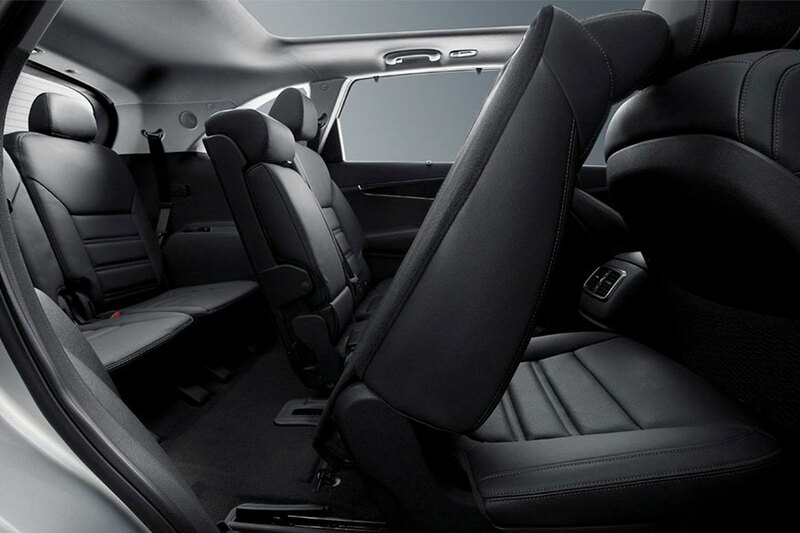 This mid-size crossover offers space for up to seven passengers, thanks to its newly standard three-row accommodations. The cabin won us over with its seating, which is both plush and supportive, offering long-term comfort for your errand runs or take your next family road trip. The Santa Fe XL provides space for either six or seven passengers, depending on whether you select the second-row captain’s chairs. Although both the front and middle rows provide generous, adult-friendly space, the third row is best reserved for kids only. Best Crash-Test Scores: It’s a Tie! Both the Kia Sorento and the Hyundai Santa Fe XL achieved top ratings in government crash tests, with five stars for overall safety. You’ll also be pleased to note that both of these mid-size crossovers offer all-wheel drive, traction-enhancing performance gear that helps you maintain precision on wintry roads. High-tech driver aids, such as blind-spot monitoring and forward collision warning, help you spot danger before it can become an issue. To save the most at the pump, the Sorento is by far the better option. With the four-cylinder engine and front-wheel drive, it earns up to 22 city/29 highway mpg. That’s quite a lead on the Santa Fe XL, which maxes out at 18 city/25 highway mpg. The 2019 Kia Sorento is our overall pick. 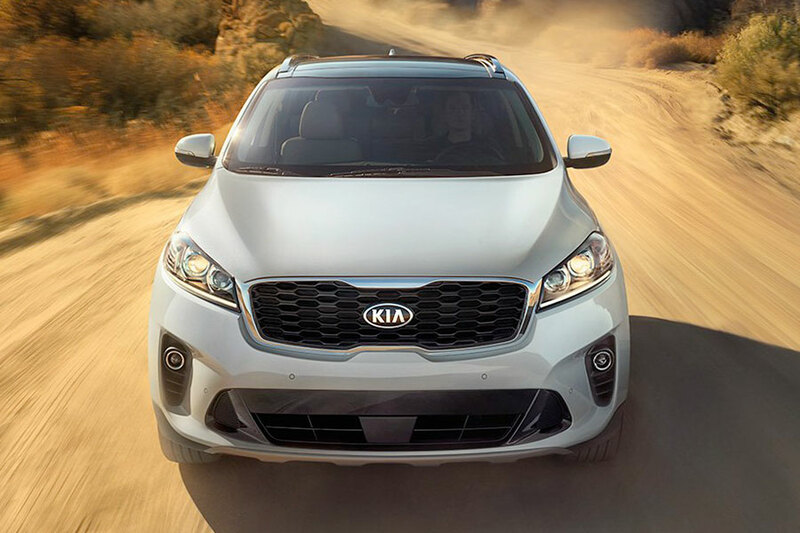 If you’re looking for a big, three-row crossover that’s comfortable, high-tech, and budget-friendly, we think you’ll agree that the Sorento is the best choice. This crossover’s safety scores give you the confidence you need to tackle rush-hour traffic. It also comes standard with smartphone integration technology, so you can make calls or check texts without looking away from traffic. Stop by and test-drive yours!